He was right about that, but wrong about the device people wanted. For one thing, competition. Workers who were issued Blackberry devices back in 2003-2005 didn’t just use them for work, they used them all the time and it didn’t take long for the likes of Apple and Google to catch on. 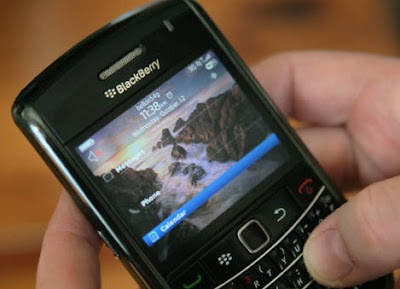 By 2007 both companies hit the market with phones that could not only deliver email and web access on the go, but had cool designs and access to app stores – something Blackberry did not. But it wasn’t the competition that ultimately killed RIM’s edge. The company suffered from “founder syndrome.” Mike Lazaridis and co-CEO Jim Balsillie created a brilliant product, but there were ultimately engineers that were blind to changes that were taking place. In 2005, I went to Waterloo, Ontario to interview both men. In lab coats and sanitized shoe booties, we toured the facilities and talked a lot about security and I.T. departments - not very much the user experience. It is something I have thought about often as I watched RIM’s stock and market share plummet. It is often said that Steve Jobs was one of the few founders who was able to cannibalize his own products over and over. Maybe it was Apple’s near death experience that enabled him to do that. Is this finally RIM’s “a-ha” moment? Maybe. It may be too little, too late. Many of my friends and colleagues have gotten their I.T. departments to support their iPhones or Android phones. I can’t see them turning back. And let’s not even mention tablets, which RIM has to practically give away to attract customers. But RIM still had $4 billion in revenue. Their brand, though hurt, still carries weight – especially in developing countries. And Matt Thornton, Avian Research in Boston says that if they do decide to license their operating system, and pare back from the hardware business, they have a shot. “It will be a smaller company, but the gross margins on software companies can be 70-80% versus hardware companies which are closer to 40%,” he said. Who might partner with Blackberry in a licensing deal? Thornton thinks Samsung would make an interesting alliance. Any Blackberry fans out there with advice for Thorsten Heins? He’s gonna need it. Labels: BlackBerry, Blackberry Torch, cell, cell phones, cnn, Mobile phone, Mobile phones, new york, u.s.